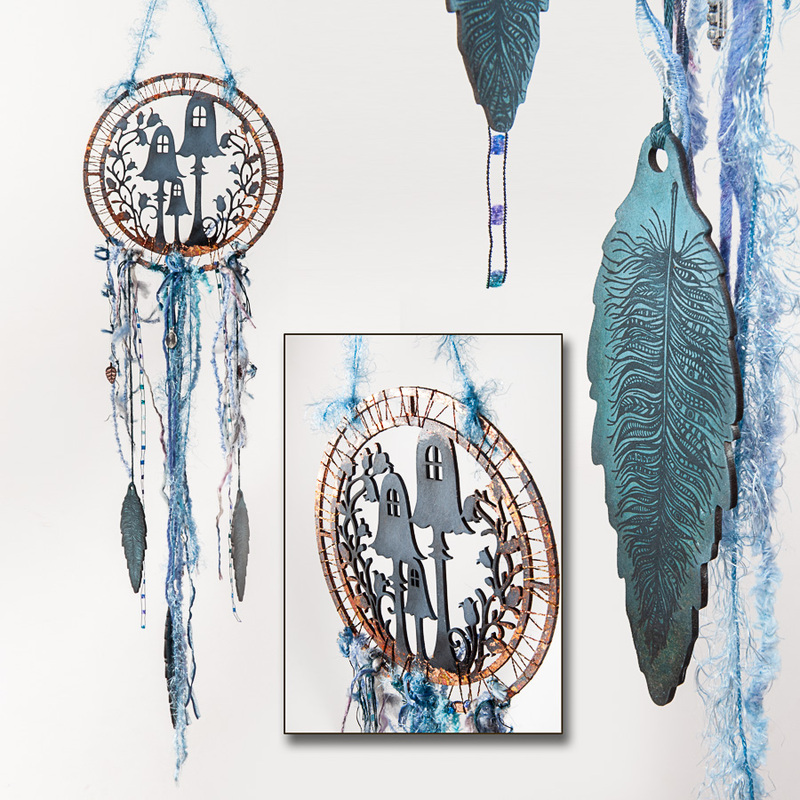 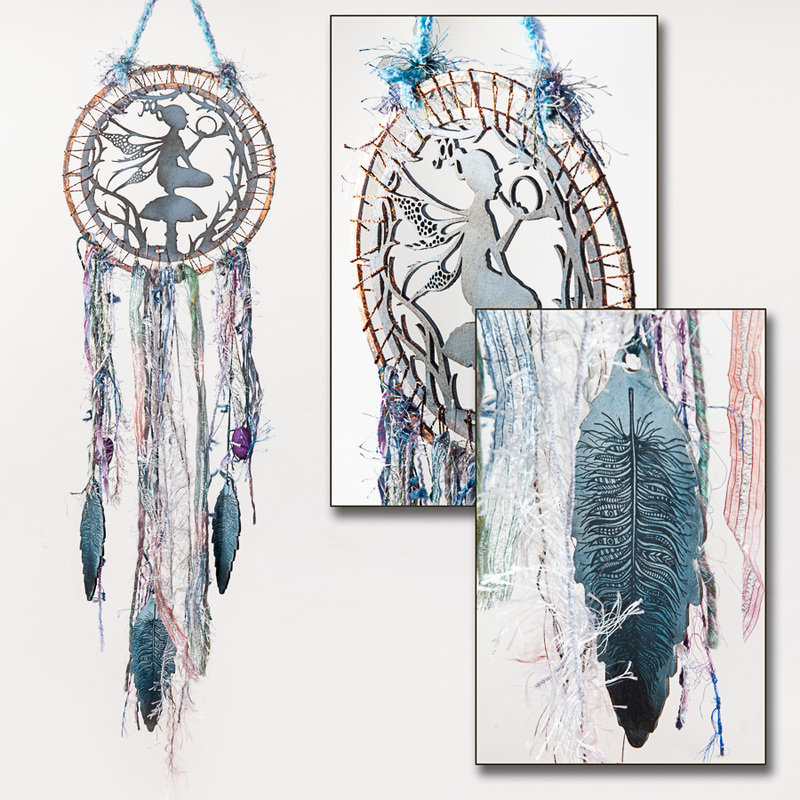 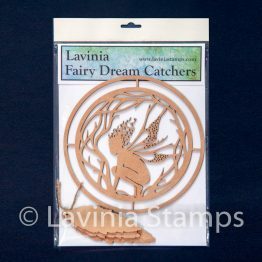 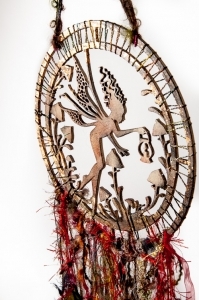 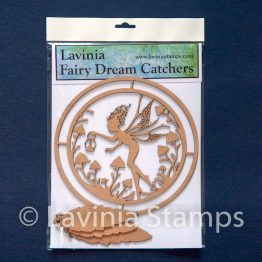 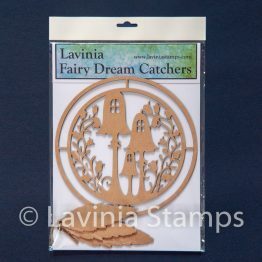 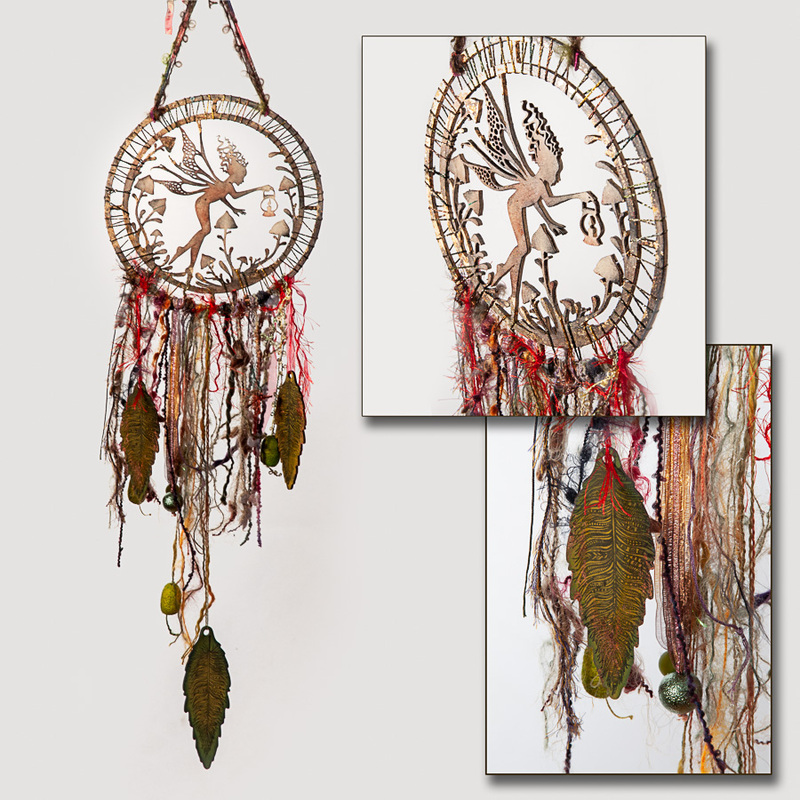 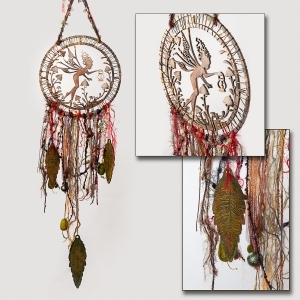 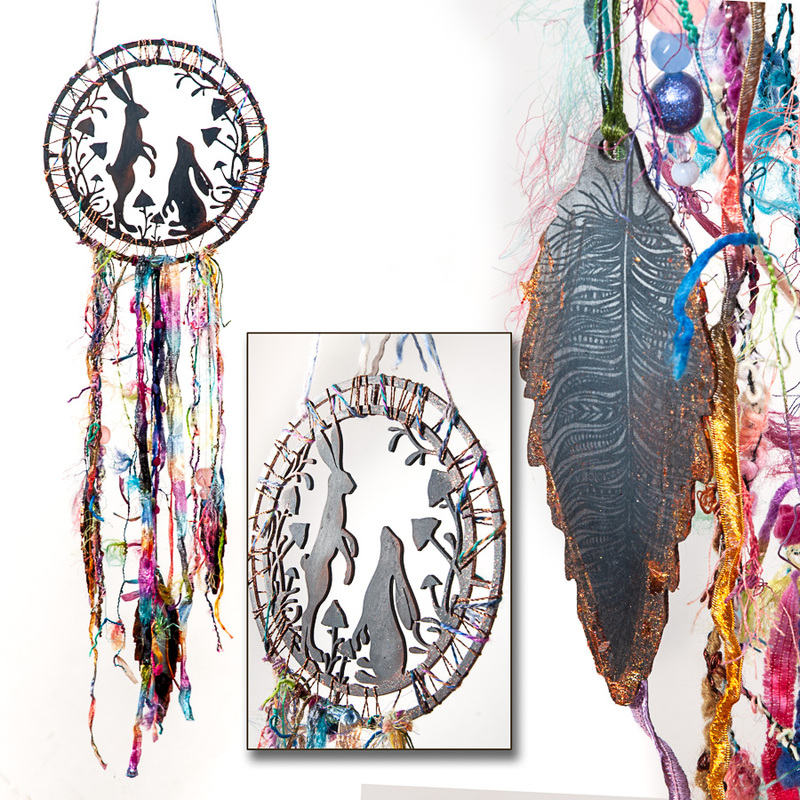 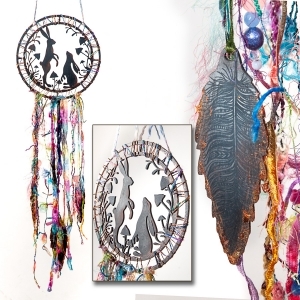 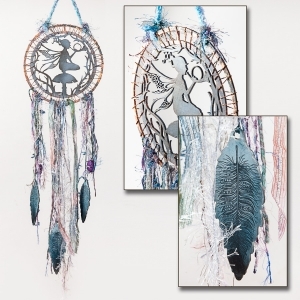 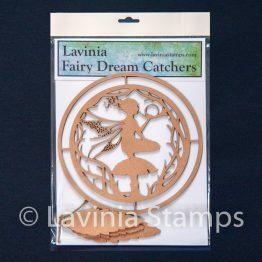 [three_fourth last=”no” class=”” id=””]Created exclusively for Lavinia Stamps by Tracey Dutton, these beautiful dream catcher kits are carefully crafted in MDF. 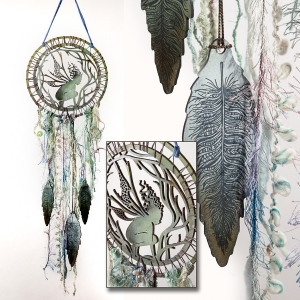 We have worked closely with our manufacturer on maintaining all the intricate detail in these beautiful designs. 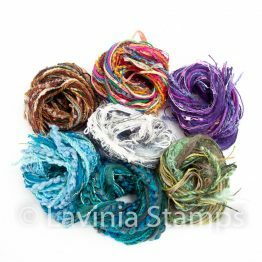 Using your choice of inks or paints, you can create your own colour combination and style, making each one completely unique. 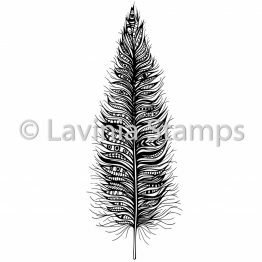 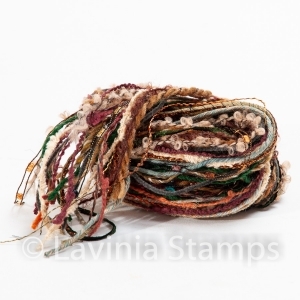 Included are three MDF feathers that can be painted by hand, or decorated with our specially produced feather stamp. 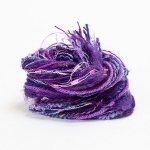 And to complete the effect you can use our yarn sets to add tassels in any number of colour combinations, to compliment your overall colour scheme. 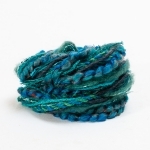 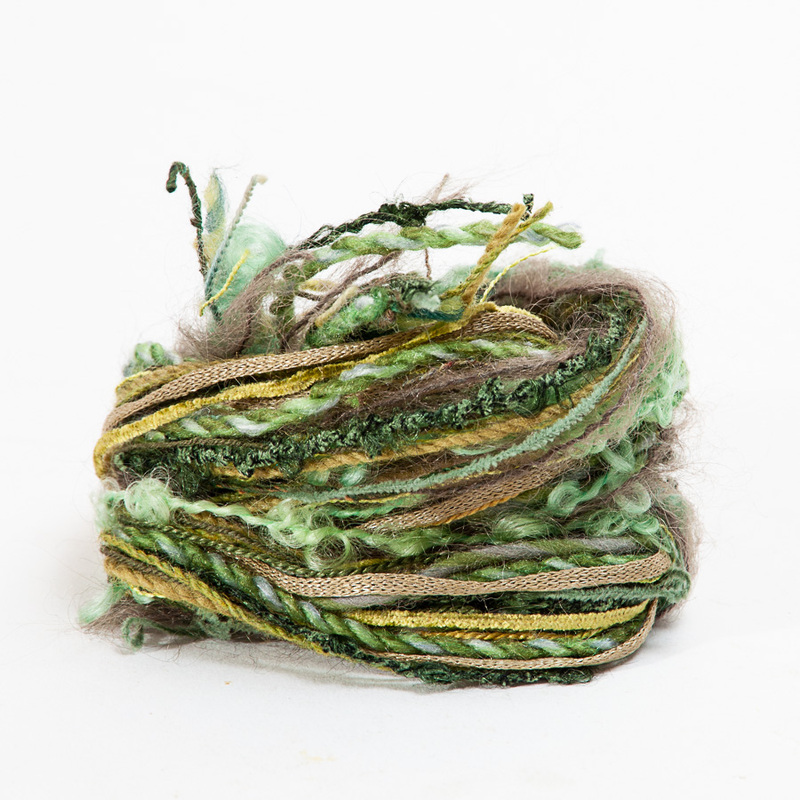 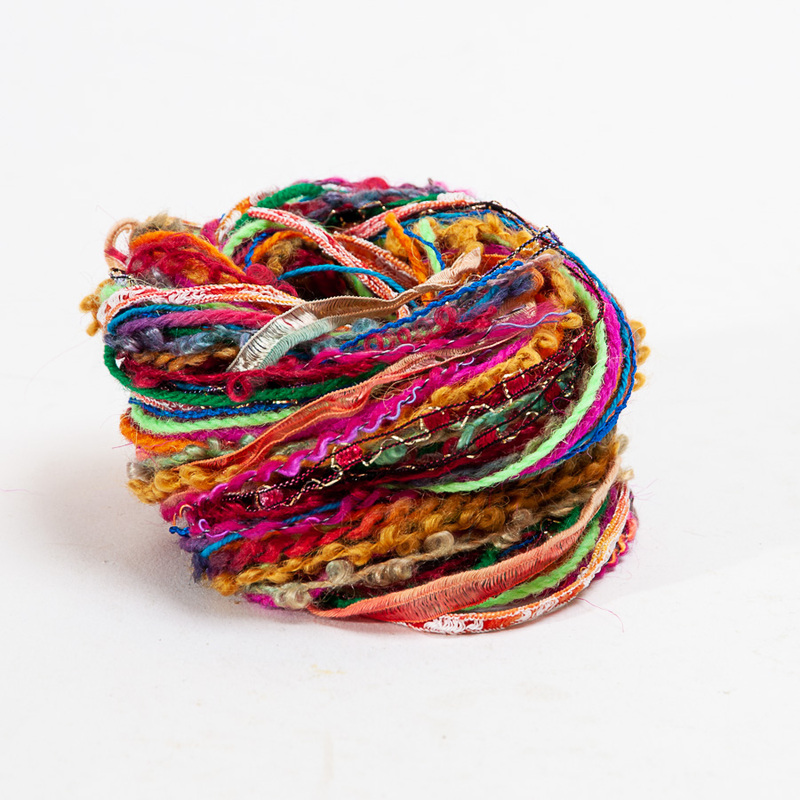 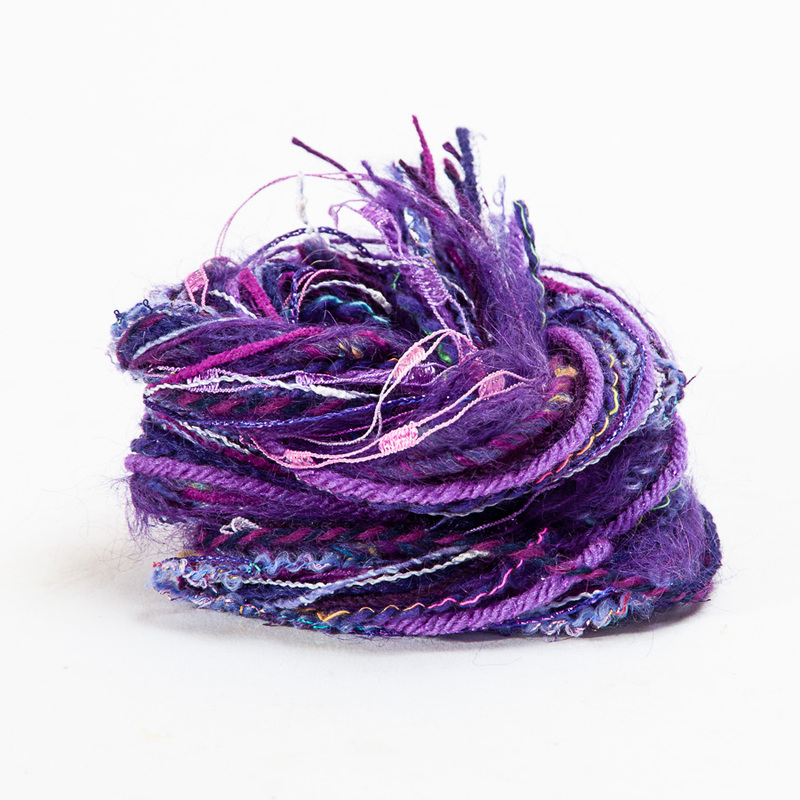 These hanks contain a diverse selection of yarns in beautiful colour combinations, adding colour texture and sparkle to your dream catchers. 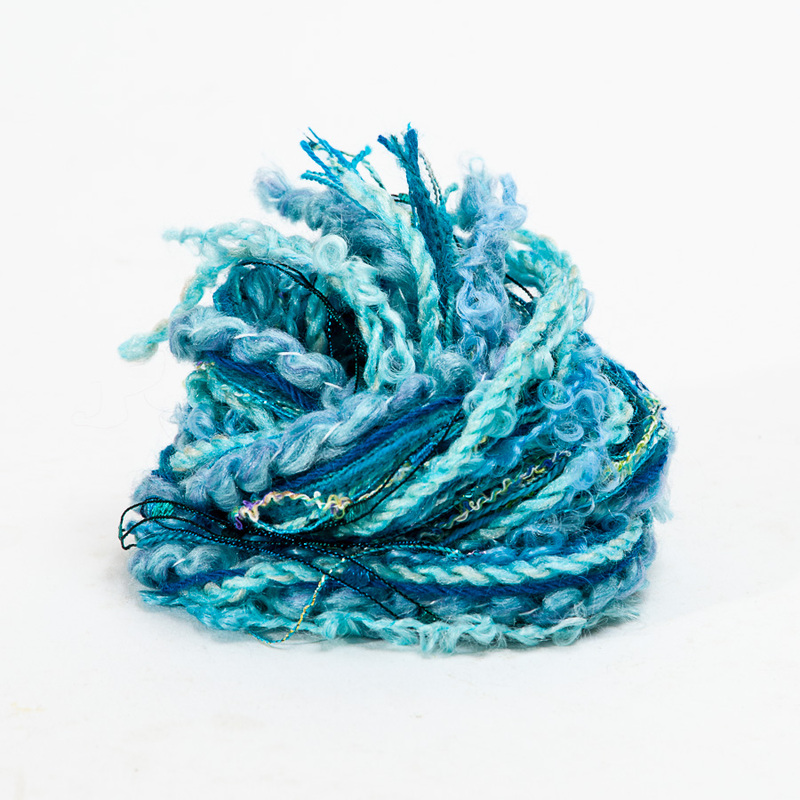 They boast a variety of shades and textures, including boucle, textured ribbon, chenille and eyelash yarns, which can also look incredible if you mix and match different colour sets. 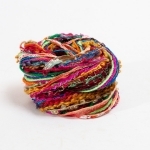 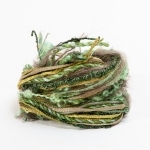 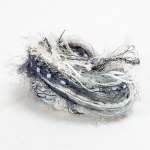 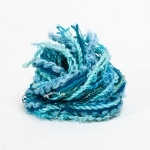 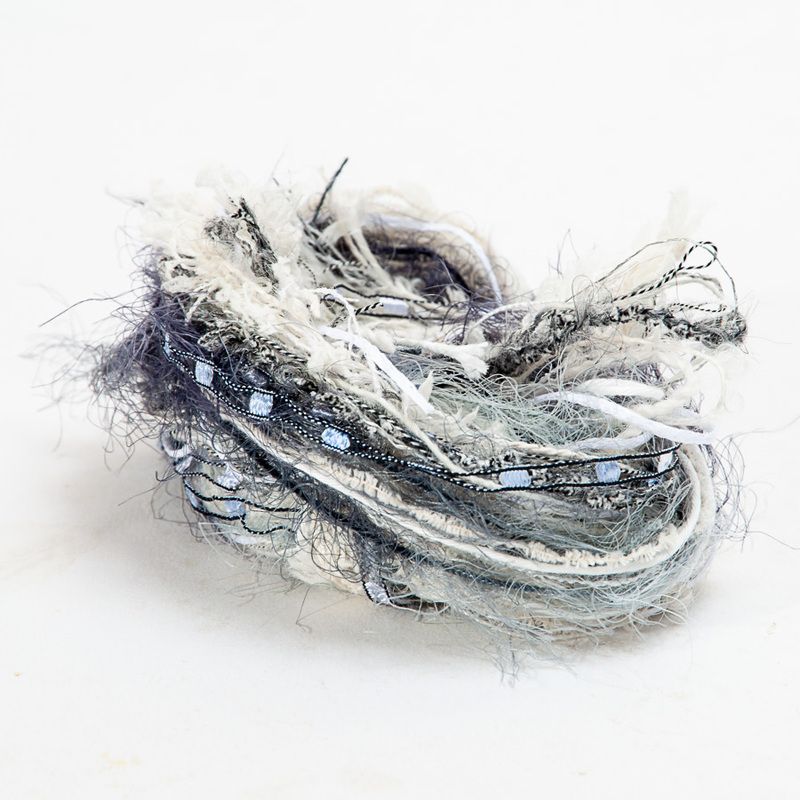 Each hank contains fifteen varieties in two metre lengths giving a total of 30 metres of yarn.